I have to say that H&M is killing it in the cute dress department right now. They have a lot of dresses with wonderful patterns and really flattering cuts at the moment and I like it! This dress in particular was my favourite. The colour is perfect for this season and I am in love with the style, it fits perfectly! 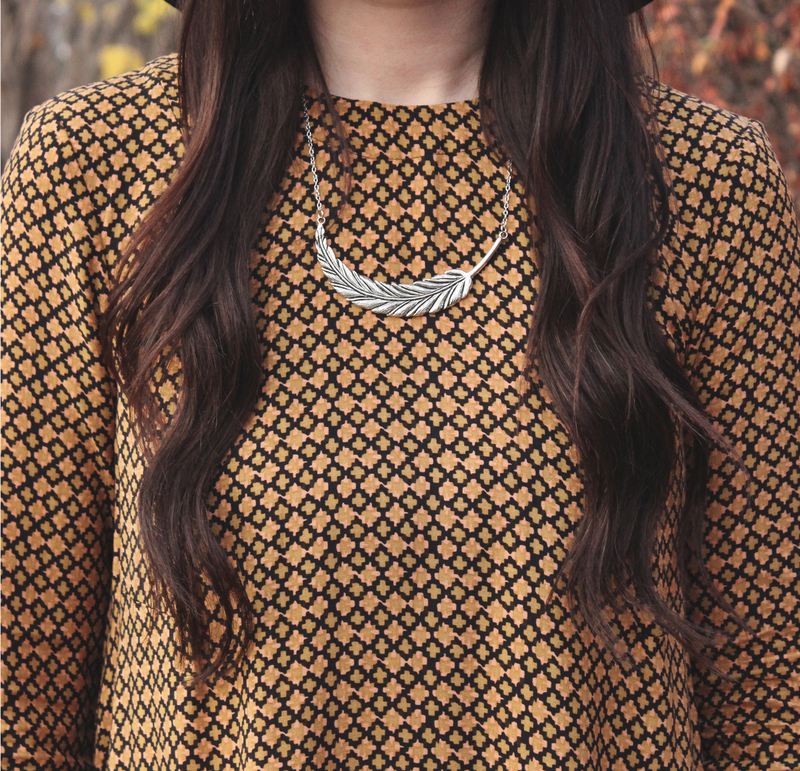 For the rest of the outfit I added this adorable leaf necklace by Coutukitsch. I don’t usually wear silver jewellery but I really like this necklace. 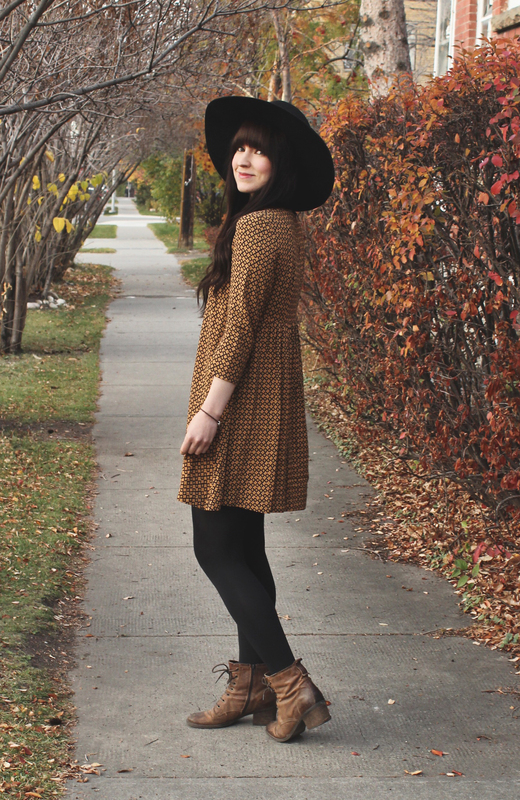 The rest of the outfit consist of my favourite boots from Little burgundy and this lovely wide brim hat from H&M. Previous PostGoodbye Summer Next PostHappy Halloween! 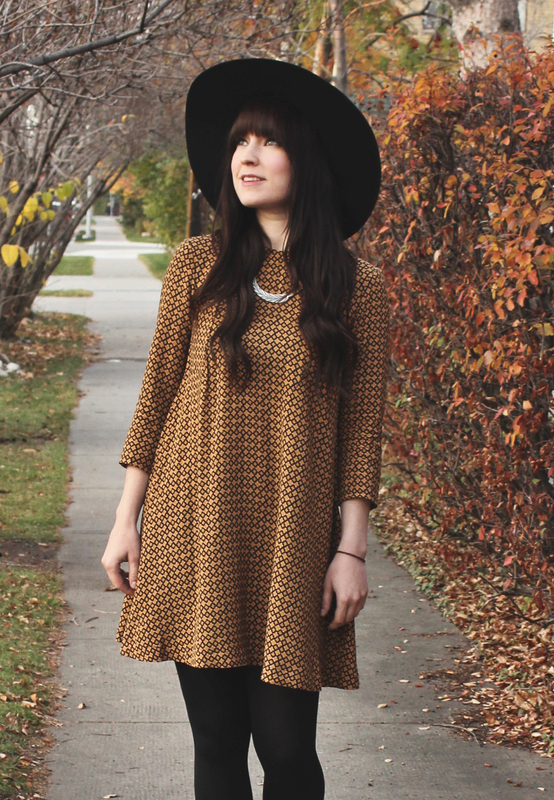 This is the perfect fall outfit, love it! You look so pretty in that dress 😀 I love that hat too!! Love this outfit! So cute and romantic! Such a pretty dress! Love how you styled it!